It’s called the U.S. Open, and the crowd is definitely from New York, but the clothing on the court is decidedly Japanese. Stan Wawrinka, wearing Yonex, thrilled fans with a four-set victory over world No. 1 Novak Djokovic, sponsored by Uniqlo. The semifinals featured another Uniqlo athlete, Kei Nishikori, and Gael Monfils, who is backed by Asics. As the 2016 Grand Slam draws to a close, Japanese brands have far outpaced their Western competition. Led by Djokovic and Uniqlo, Japan’s apparel makers have turned up in seven men’s Grand Slam semifinals this year — more than Nike, Adidas and New Balance combined. The marketing is part of a broader push to strengthen international sales and offset the effects of Japan’s aging, shrinking population and stagnant economy. Uniqlo now has more stores outside of Japan, and Yonex Co., the racket and clothing maker backing Switzerland’s Wawrinka, earned more than half its profit overseas last year for the first time. The exposure won by Japanese brands on the tour this year comes at Nike’s expense. Until this year, Nike stars Roger Federer and Rafael Nadal dominated men’s tennis, bringing the swoosh to all but eight of the 40 Grand Slam finals since 2005. Neither is invincible anymore: Federer, 35, canceled the remainder of his season after losing in a Wimbledon semifinal, and Nadal, 30, was upset in the fourth round of the U.S. Open. Tennis players tend to rise and fade in cohorts, and the ascension of Djokovic and, more recently, Nishikori has been a boon for Uniqlo. The company signed a five-year deal with Djokovic in 2012, after taking on Nishikori in the previous year. “Nishikori raises our brand image and he also gives feedback on the clothes he wears and we implement it in our general product development,” said Naoto Miyazawa, a spokesman for Fast Retailing Co., which owns Uniqlo. The company narrowly missed out on an all-Uniqlo final. Nishikori was a slight favorite to beat Wawrinka in the semifinal round, which would have given the retailer a monopoly on the last game of the tournament, plus a chance the winning player would be Japanese. Both Yonex and Wawrinka have found a rhythm in the last three years. 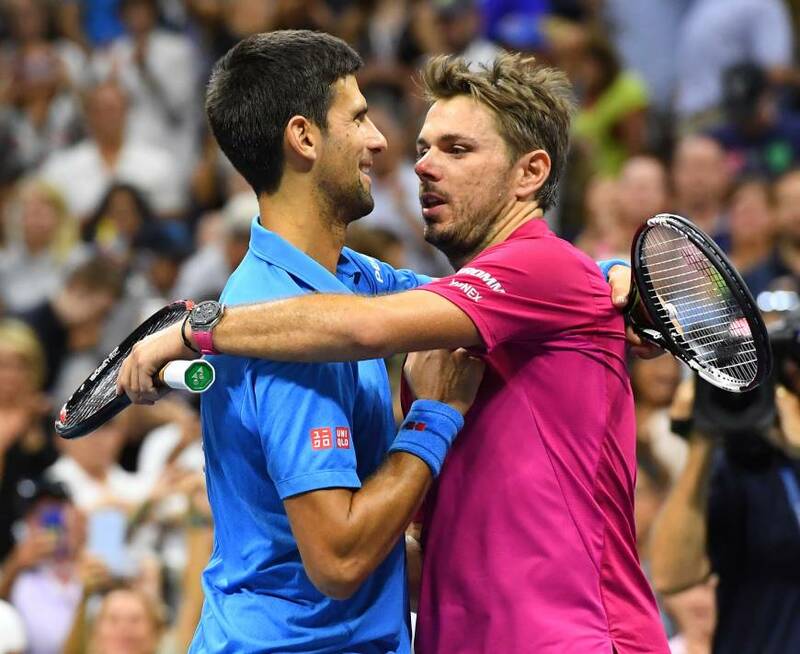 The Swiss player lost to Djokovic in a 2013 U.S. Open semifinal, then won the Australian Open in 2014. The next year he won the French Open. Meanwhile, Yonex sales in Japan have risen every year since 2012, reversing a three-year decline, and revenue from outside the country doubled in the period to about ¥23.5 billion ($230 million).